Hey guys! I hope you have had a wonderful Tuesday! My day consisted of taking my sweet boy to his 2 month check up and he got 3 shots. He cried so much and it just broke my heart. Then later on in the day I had to give my dog a bath because he can’t keep his poop off his fur, so nasty. To end my day I did have a barre workout class and I loved it. I missed last weeks class so I’ve only done 2, but I am loving it. So I have a favorite shirt and I must share it with you. It’s sold at Nordstrom by the brand BP. This shirt is super soft, it’s long sleeved, but light weight and it’s very long. 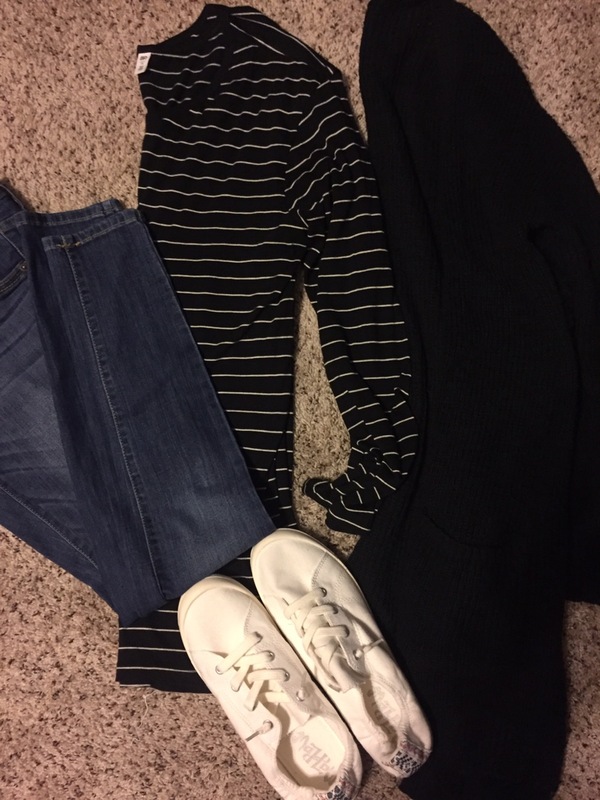 It is perfect for layering. It comes in a bunch of colors and just the best top to own. I own it in black and white stripes. 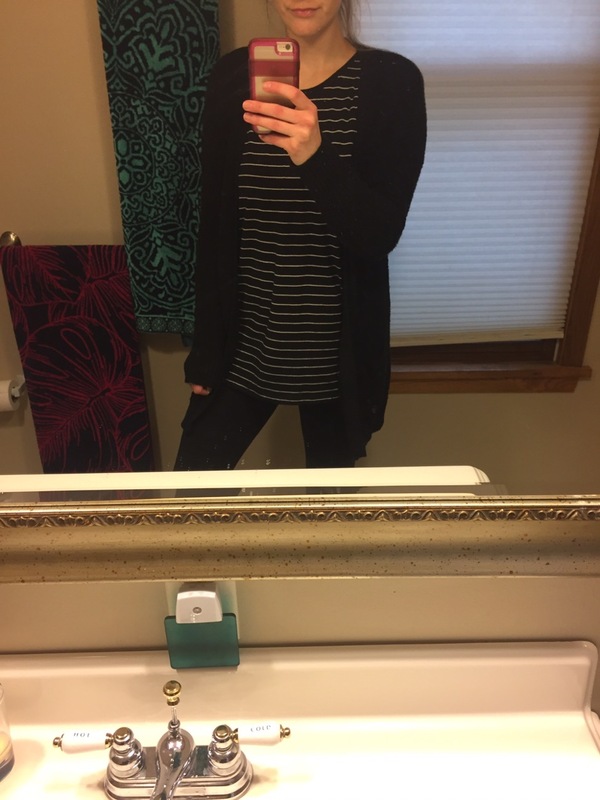 I layered a black comfy cardigan over because it was a chilly day. 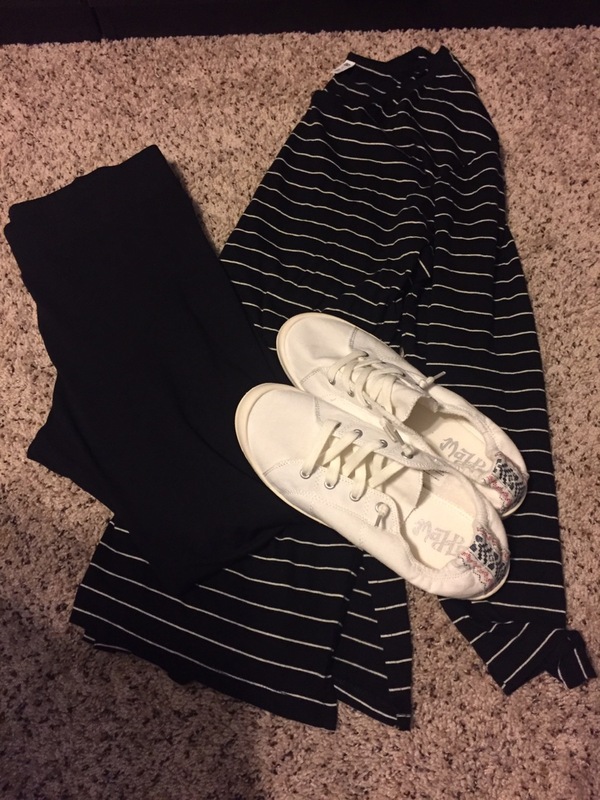 I also wore it with a pair of black leggings. Another great way to wear this top is with a pair of skinny jeans. I obviously don’t fit into any of my jeans yet so I can’t show it on. I think it would look really cute if you just tick a little bit of the front into your jeans or even do a tie on the side. On a very cold day you could also throw an over sized sweater on top. With the top being long it’ll show a little bit and keep you warm. 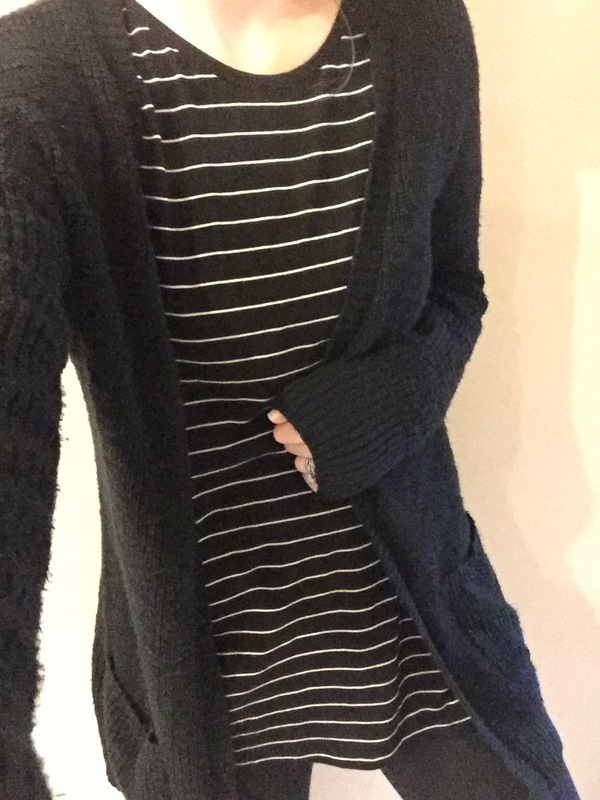 My oversized sweater is from H&M and Is only $19.99. This shirt is so versatile I feel like you all need to have one! So run and get yourself one. September 20-24 Nordstrom is having triple bonus points for all rewards members. Such a great deal! Previous Post Are Joggers really for jogging? Next Post Rx Bars: Are they worth the hype? 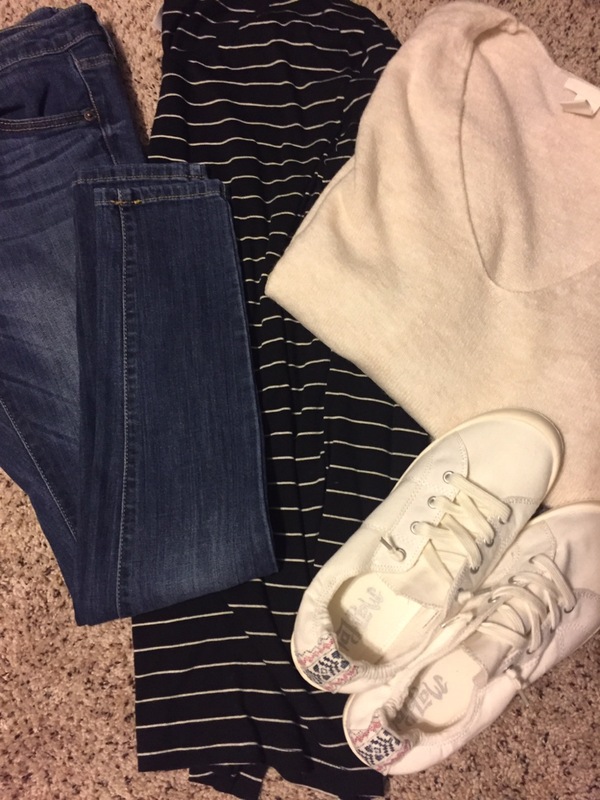 Obsessed with Nordstrom! I didn’t know about the points. Thanks!